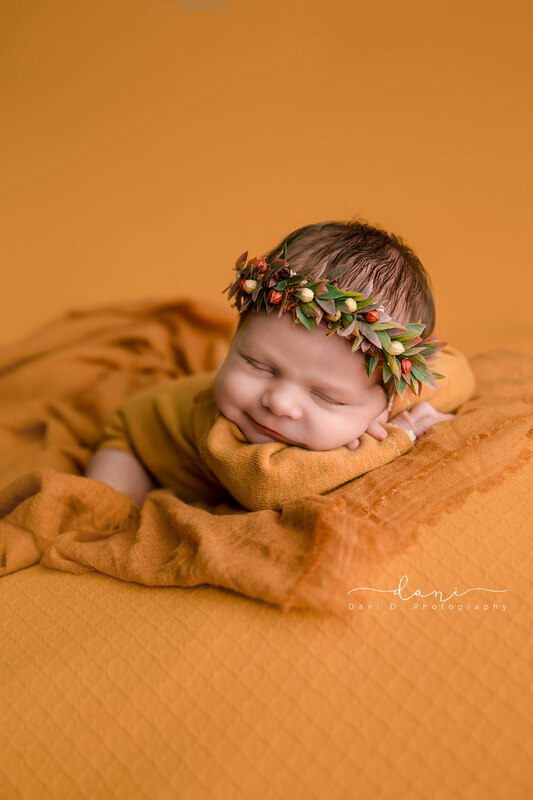 When it comes to newborn photography each session is different. 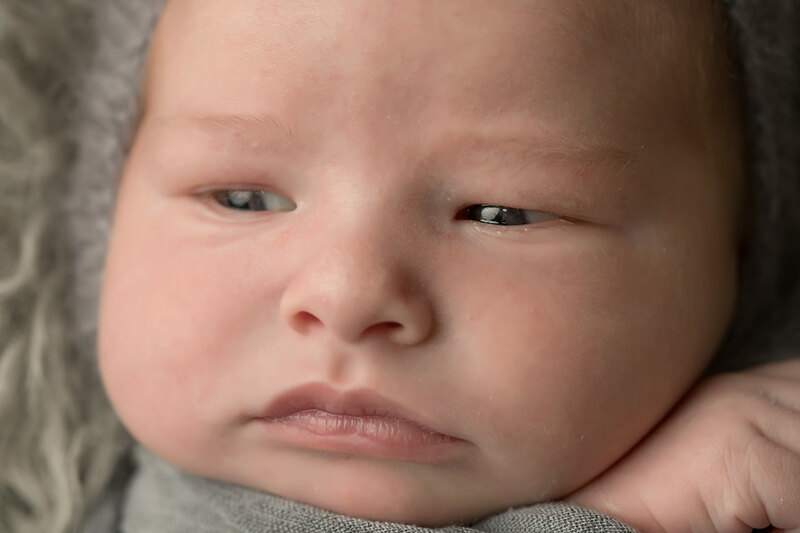 Some babies are very sleepy, others more alert. Some like to be on their tummies, others not so much. But one thing that is pretty much the same each time is the poses we can safely do. 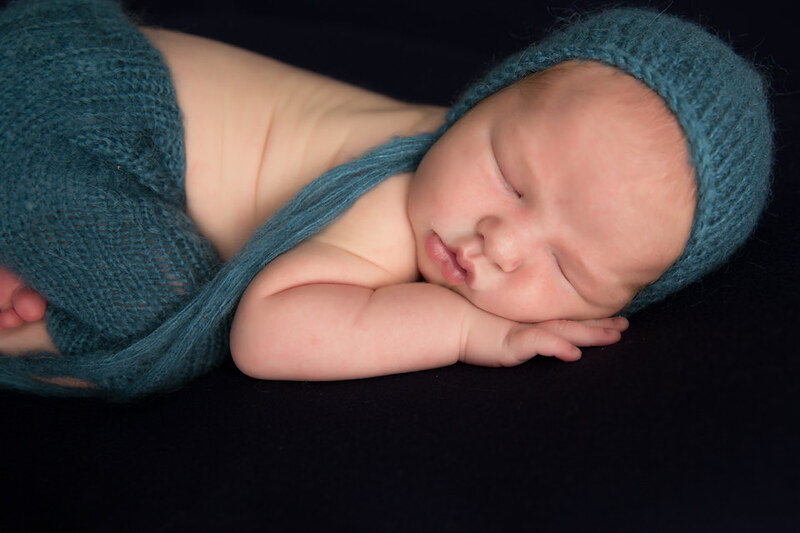 In general a good newborn photographer has standard workflow of poses that we do in most every session. 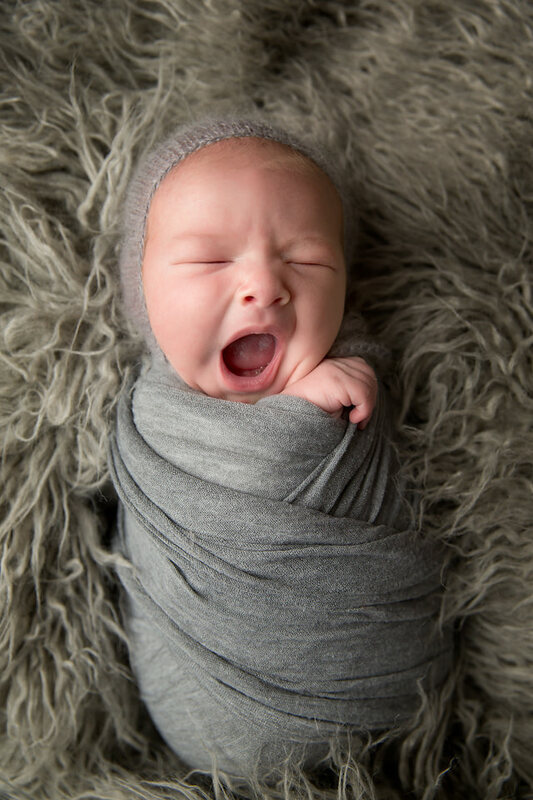 There are about a dozen unique poses in my repertoire, all of which provide a variety of different angles and looks without having to move baby too much (which of course helps them sleep). Here I’m going to walk you through just a few of my favorite and most popular poses that you’ll see in nearly every session and rank their difficulty (on a scale of 1-10). The simplest and most natural pose is the one baby often takes on their own while being held. Almost all babies are happy to be posed this way. Done safely (with hidden props underneath that support baby) with a few accessories this is a beautiful image. Tummy time looks rather simple in the finished image, but actually takes a fair amount of skill, knowledge and planning to pull off. The angles have to be just right as well as the props underneath the blanket that support baby in this position. 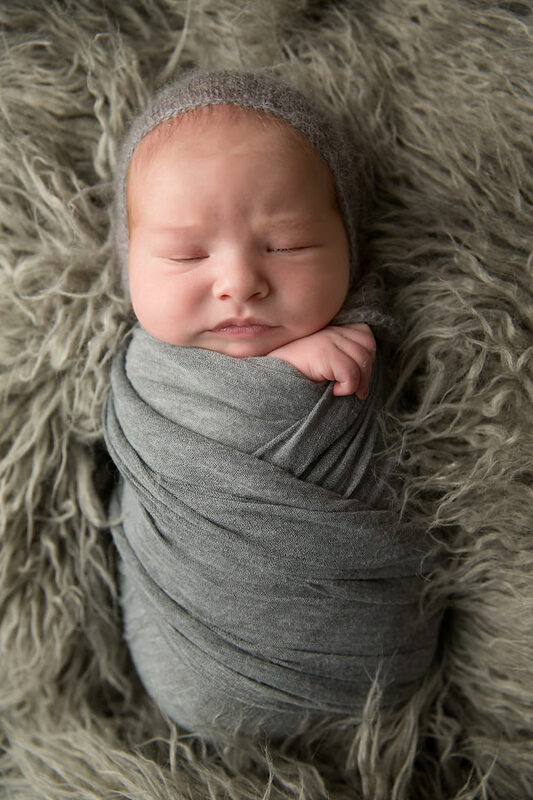 Why I love it: this pose accentuates baby’s chubby cheeks, little rolls and of course their teeny tiny toes (which you know I love). Plus it looks very natural and timeless, yet beautiful in it’s simplicity. This is one of those poses that looks so easy. But let me tell you looks can be deceiving. 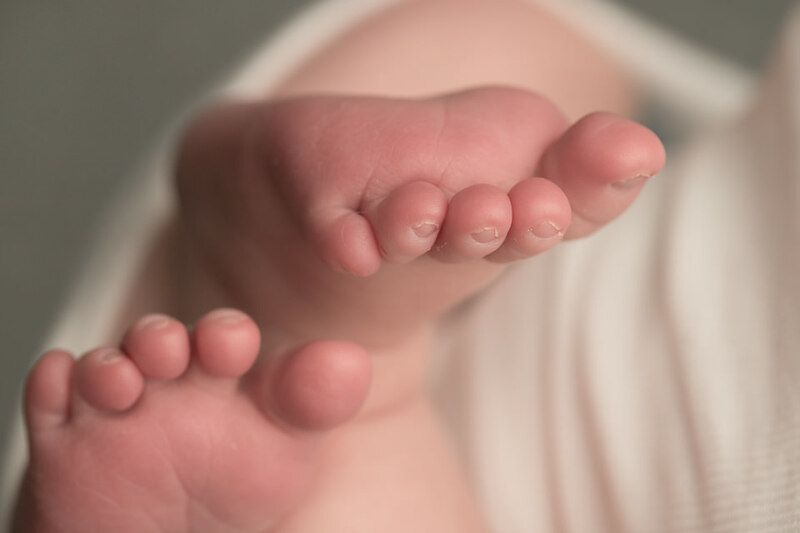 Tiny newborns naturally want to pull their arms and legs in to snuggle up. This pose requires a gentle, patient hand to get baby to stretch those arms forward and tip their head up. 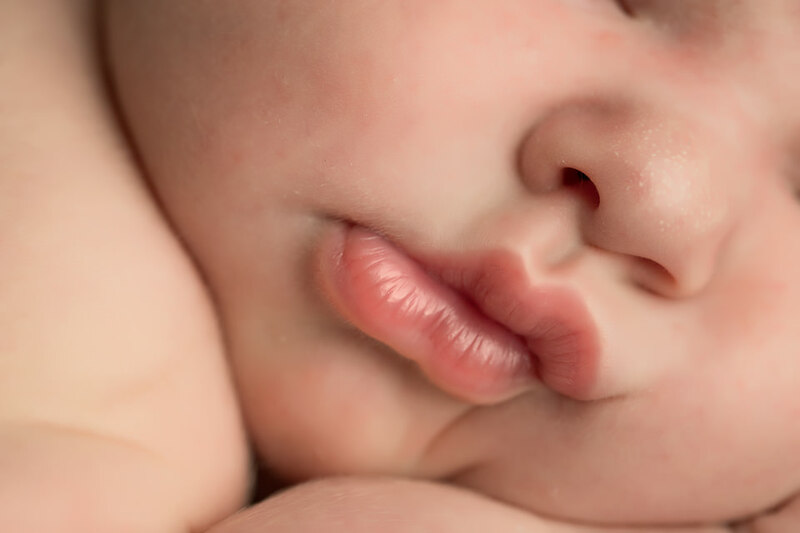 Why I love it: This is a great shot for getting a full view of baby’s face and their amazing eyelashes. When in the womb infants don’t have a lot of space to move around (as any mom can attest to). So in the first few days after delivery they love to curl up in that position. Pretty soon they start to lose their flexibility however. So you won’t always see me do this pose. By the time I see some babies they just aren’t able to do it anymore. 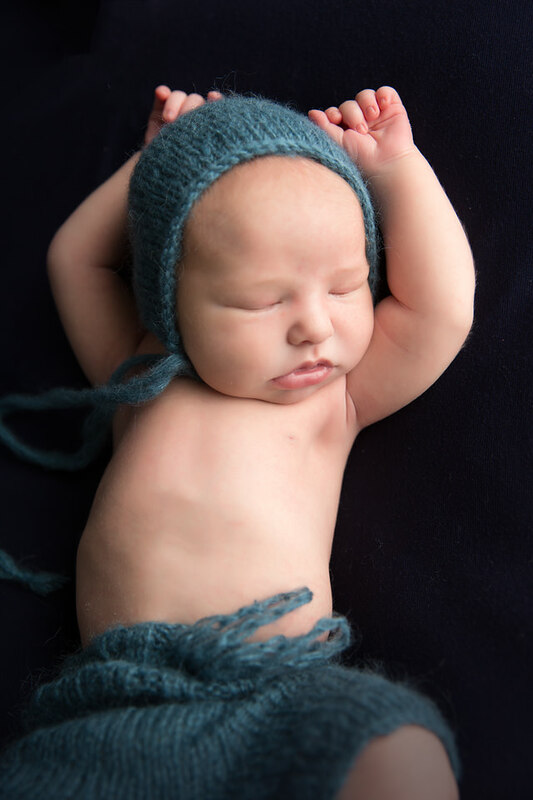 Arguably the most challenging pose in newborn photography, Froggy is also one of the most popular with parents. It should be noted however that these images are always created as a composite. Meaning that they are a blend of two or more images. The baby is support by the hands of an adult at all times, never actually supporting themselves this way. If you are an aspiring photographer please, please, please do not try this pose until you have received proper training. Why I love it: What’s not to love?! Big chubby cheeks, all the details and it’s just adorable. Timber is the natural progression from Froggy pose. It gets it’s name because basically we take baby from Froggy pose and tip them over…like a tree falling (but of course we don’t ever let baby fall!). Why I love it: I love how it gives a perfect full face view and their little hands are still squishing their adorable cheeks. This one I suppose could actually be counted in the “un-posed” category. As baby isn’t in a special position like in those above. But this to has it challenges…namely getting baby to lay their arms peacefully on the blanket. If you’ve gotten this far, thank you for following along! Next up in my blog we’ll have the other half of the poses. Those that involve wrapping. Dani D specializes in fine art style portraits of seniors, expectant mothers, newborn babies and children. Based in Redding, CA she also serves the greater north state area of California including Chico, Red Bluff, Anderson, Mount Shasta and Cottonwood. If you would like to schedule a session for your growing family please click here. This beautiful little darling is Claire. Isn’t she the cutest? She was wide awake at the beginning of her session. Which allowed me to capture those beautiful eyes of hers. But before long she was nice and tired so I was able to take photos of her in the more traditional poses. Which one is your favorite - awake or sleeping photos? 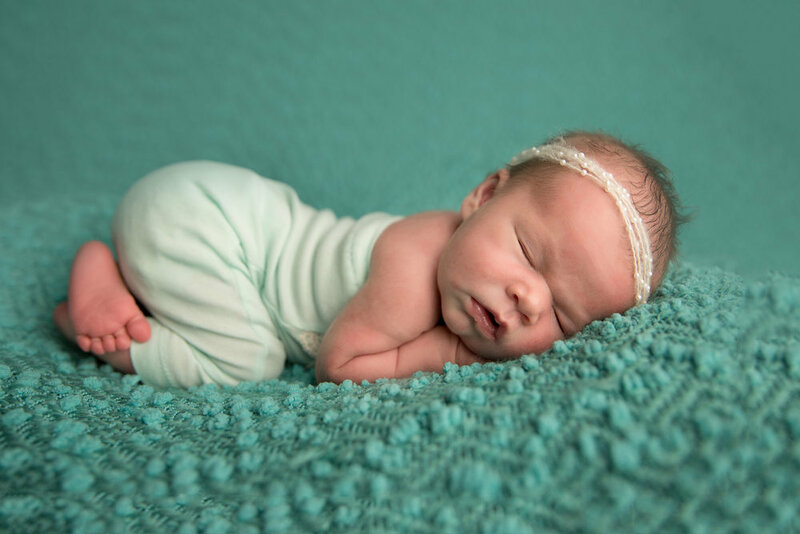 Hey newborn photographers - do you like Claire’s cute baby rompers? They are hand made by the talented Indianapolis newborn photographer Leah Severson at www.lseverson.com You should check out her shop! I'd like you to meet sweet baby Connor. This session is one that I probably won't ever forget, but probably not for the reasons you might think. 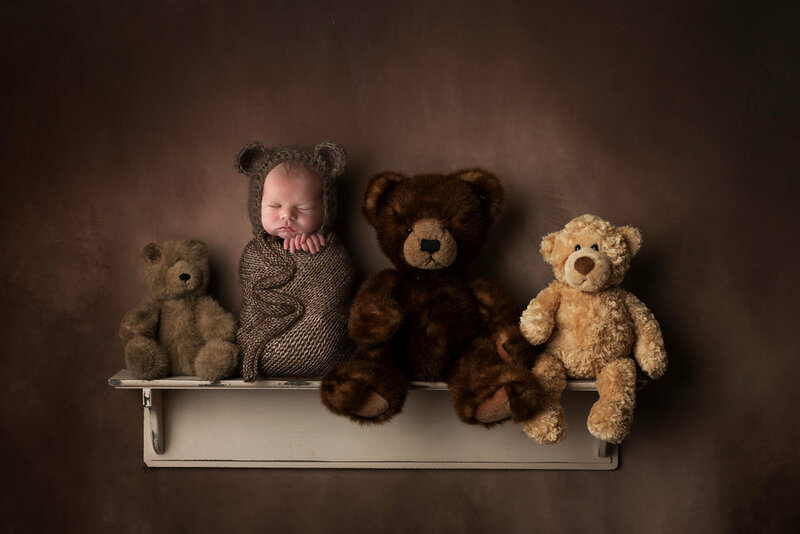 You see, while we had planned his newborn photo session for a couple of months it almost didn't happen. His birth went fine and all was well with him and his momma. But the night before the session was scheduled our little city of Redding was hit with a devastating wildfire. The Carr fire has destroyed nearly 200,000 acres and over 1000 homes. My home and studio weren't far from the evacuation lines and we were all fearful that the worst would come. But thankfully all turned out ok! Our vehicles and the farm were completely covered in ash and burnt cinders, but no damage. So a couple of days later Connor's parents were able to bring him by for his session. Connor was awake and active when he arrived. But he couldn't resist all of my tricks for getting babies to sleep! Once I got him settled in he slept like a rock for the rest of his session. Redding, CA newborn baby, child, maternity, senior and family portrait photographer. Capturing the precious moments of your life with beautiful photography. Check out my FAQ page.